1936. Drama with Edward Everett-Horton & Alastair Sim. 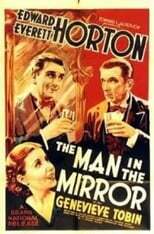 A timid businessman, while looking into his mirror, is confronted by his alter ego.